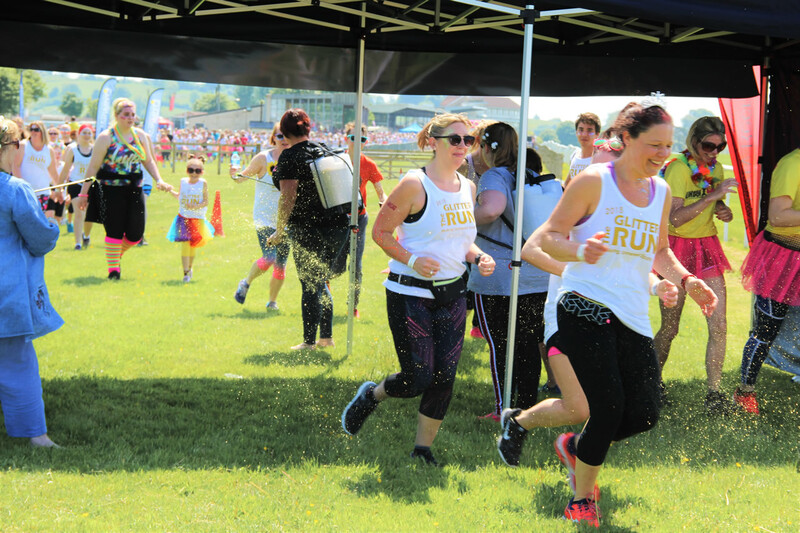 St. Margaret’s Hospice’s award-winning Glitter Run is back – this time with even more fun in store for families, friends and colleagues in search of a challenge. The Glitter Run Remix is a sparkly and colourful 5km fun run featuring biodegradable glitter, bubbles and powdered paint. It’s coming to Wincanton Racecourse on Sunday 19th May, followed by Wells on 9th June and Taunton on 7th July. 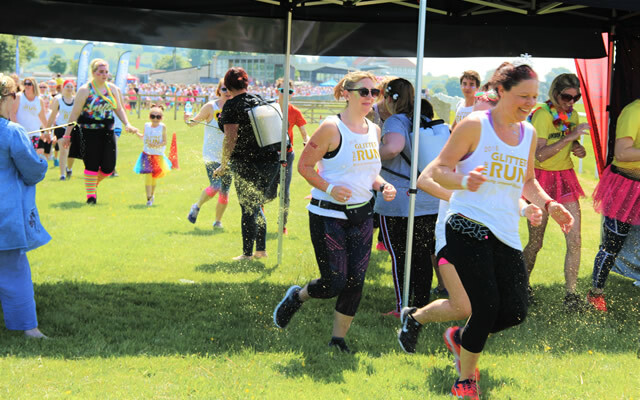 More than 2,000 people took part in the Glitter Run last year, which was named Community Event of the Year at the 2018 Believe in Somerset Awards. “The response to our original Glitter Run was amazing, making it one of our most popular fundraising events ever. This year we’re making it even more exciting for our fantastic supporters by remixing our popular Glitter Run, Bubble Rush and Colour Run events to create a truly memorable day out. St. Margaret’s Hospice needs to raise over £9.5m a year to fund its end of life care services for people across Somerset. Last year the charity supported more than 3,800 people affected by life-limiting illnesses, including families and carers. For more information and to sign up for the Glitter Run Remix, visit www.st-margarets-hospice.org.uk/glitter-run-remix-2019.